Are you a puzzle guru and do you like to be creative? 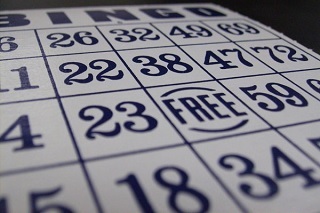 Bingo Free Game has got the right games for you. We offer a great puzzle world for everyone who loves to puzzle. Our website has several amazing puzzle games like Sudoku, Jigsaw World and Word-feud. There are puzzles for everyone, from fictitious to prefabricated games. Puzzles with up to thousands of pieces: it is your turn to complete the whole puzzle. Can you put the pieces in your puzzle game where they belong? Puzzles are educational but most of all a lot of fun. Play the puzzle games wherever and whenever you want. Take a comfortable seat and start playing the free online puzzle games here! You will find magnificent graphics and entertaining soundtracks. Feel free to explore the website and play all our puzzle games. Start playing and enjoy yourself for many hours with these online puzzle games. A puzzle game is very easy going. Are you ready to put it all together?